Did you know, over 75 million tons of container & packaging waste was generated in 2012, making up 30% of the solid waste created for that year? 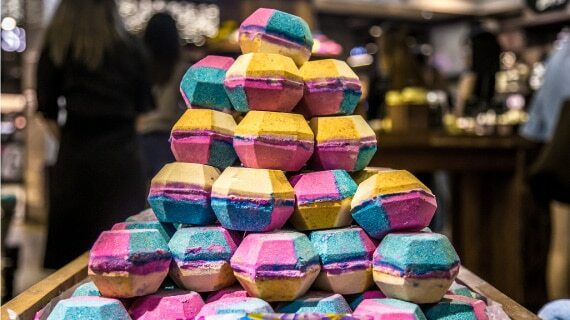 Many retailers are exploring ways to reduce packaging, and Lush took their thinking outside of the box (literally). Lush eliminates the need for packaging altogether by selling their products ‘naked,’ as they like to call it. Their products are unique – items like shampoos, shower gels, and bath bombs are solid, so they don't require packaging and can be displayed on their own! When packaging is necessary, they use recycled, reused, or recyclable/compostable packaging. Lush states they save millions of plastic packages from being produced each year. Adidas has received a lot of well-deserved attention throughout the past couple of years for addressing the world's plastic problem. 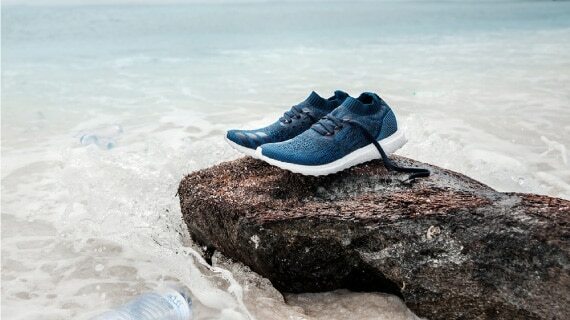 They brand has teamed up with Parley for the Oceans (an environmental organization) to make athletic shoes made exclusively from plastic collected from our oceans. Adidas recently announced they have committed to using only recycled plastics in all of their products by 2024. With estimates that there will be more plastic in the ocean than fish by 2050, Adidas is helping to reduce the problem hands-on. Did you know, e-waste (electronic waste) that is not properly disposed of can be harmful to humans and the environment? Electronics are filled with toxic elements that can affect nearly every system in the human body. This year, there's no need to throw away your old electronics when you purchase new ones. 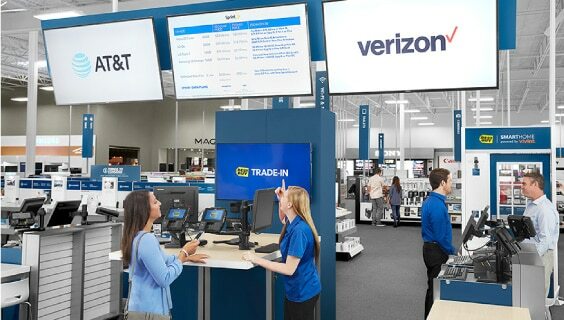 Best Buy has a trade-in system that allows you to trade-in your old electronics in return for a Best Buy gift card. Then, they recycle your old electronics for you. To date, Best Buy has collected and responsibly disposed of more than 1 billion pounds of electronics and appliances! Between Thanksgiving and New Year’s, USPS estimates that they will ship more than 850 million packages (that's a lot of cardboard!) Luckily, Amazon, the world’s most popular online-retailer, has set out to reduce excess packaging with "Frustration-Free Packaging." It's made from 100% recyclable materials, efficiently-sized to fit the product inside the box, is easy to open, and designed to protect your products. As of December 2017, Amazon has reportedly eliminated 215,000 tons of packaging material which is equivalent to 360 million shipping boxes. Amazon is currently encouraging their vendors to adopt their Frustration-Free Packaging program to help reduce packaging waste. Styrofoam and packing peanuts are a favored packaging material because they are light-weight and flexible. The reality is however, Styrofoam is extremely difficult to recycle and never decomposes, which suggests most of it has accumulated in landfills and natural environments. 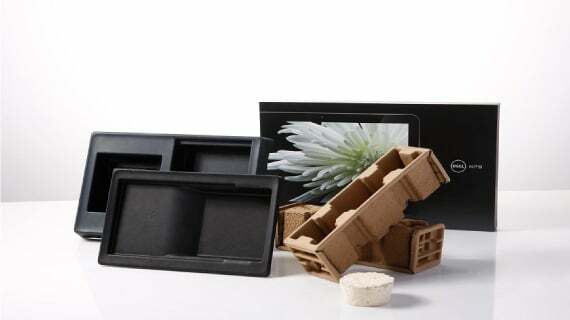 Dell has been at the forefront of the initiative to replace Styrofoam with eco-freidnly packaging. To do so, Dell has begun growing their cushions made from mushrooms. "By injecting mushroom spores into a mold with agricultural wastes for a food source, we are actually growing cushions that serve as an organic, compostable alternative to foams for certain larger shipments" explains Dell. The materials serve the same purpose as Styrofoam, but they're organic, biodegradable, and compostable. If more retailers continue to adopt eco-friendly alternatives, the future of packaging will be a lot more sustainable. In 2015, greater than 10.5 million tons of textiles were landfilled. In an effort to reduce textile waste, Patagonia developed a way to keep their gear around for longer. The clothing company began hosting their “Worn Wear” pop-up events, where customers could take their clothing to be repaired or exchanged for new clothing. 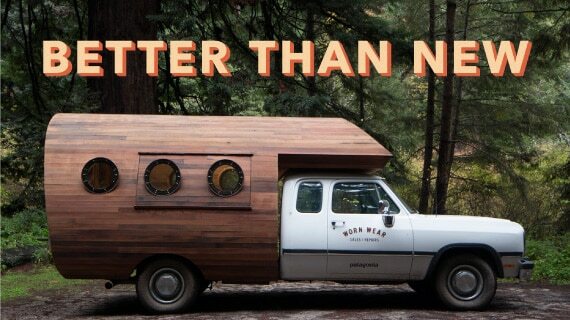 The events were so popular that Patagonia launched a permanent “Worn Wear” website that allows customers to repair, share, and recycle their unwanted gear. When Patagonia products are beyond repair, they ask customers to drop off their clothing to any Patagonia retail store so they can be responsibly recycled. The "Worn Wear" website says the brand has recycled over 95 tons of clothing to date. In addition, Patagonia's CEO, Rose Marcario announced that the company is donating $10 million to environmental non-profit groups to help fight climate-change! 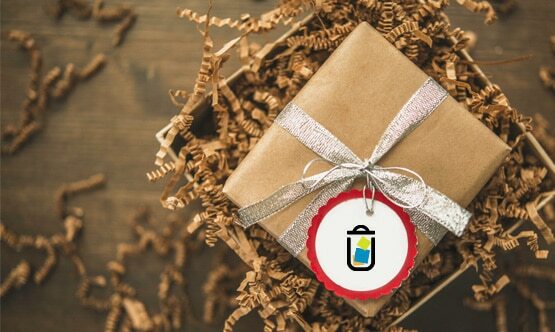 Whether you're a retailer looking for ways to reduce your environmental impact, or a consumer looking to buy products that are produced with the environment in mind, we hope you can use this post as a resource this holiday season. We'd love to learn about more innovative retailers that are reducing their environmental impact. Leave us a comment below to let us know which ones you like to shop with. One suggestion in the recycling community goes a long way! Thank you for reading.